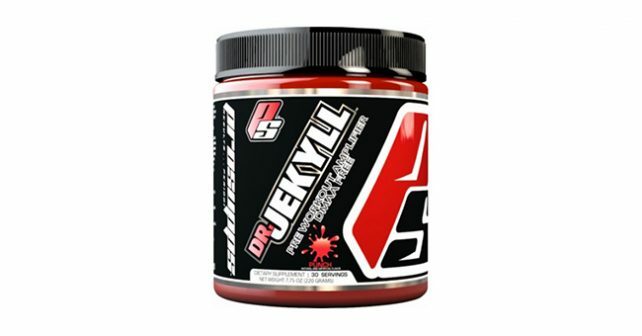 Pro Supps Mr. Hyde Review – Should you use it? Figuring out the right pre-workout supplement is a different experience for any bodybuilder. For one, stimulant-dependent pre-workout formulas have varying concentrations of stimulants which affect the buying decisions of those who are tolerant to stimulants, and those who are sensitive to stimulants. While pre-workout supplements are quite easy to figure out because of their contents, some supplements like Mr. Hyde by Pro Supps aren’t quite as easy to decipher. Mr. Hyde by Pro Supps is a pre-workout supplement which relies heavily on its caffeine content for its stimulant effects. Its caffeine content – which is measured at 419 mg per serving, is indeed one of the largest single-dose caffeine content in the supplement market. In comparison, taking one dose of Pro Supps Mr. Hyde is equivalent to drinking four big cups of brewed coffee in just one gulp. Aside from its caffeine content, Mr. Hyde also lists several nitric oxide boosters in its supplement profile. The right nitric oxide boosters can help boost muscle strength and recovery. The best supplements for muscle gain utilize nitric oxide boosters in their formula to amplify the effects of the other ingredients in the mix. Since its caffeine content is too much even for those who are tolerant to caffeine, there’s only a select group of people which this kind of formula would be beneficial. Most likely, Mr. Hyde caters to the people who are constantly trying to increase their supplement intake by matching it with more intense workouts. As we have discussed, the caffeine content of Mr. Hyde headlines the product’s supplement profile. When you have this much caffeine in a single dose, it’s hard to rule that the product is ineffective, because you’d definitely feel the caffeine jolt. However, the effects of caffeine may be too overpowering that its other benefits (or non-benefits) are completely overshadowed. Mr Hyde contains a below-average nitric oxide booster component in Agmatine Sulfate and L-Citrulline. It also casts a shadow on its miniscule L-leucine content and Beta Alanine contents. Considering all the ingredients, it’s apparent that Mr. Hyde is formulated to accomplish three supplementation targets: Strength, recovery, and workout energy. We can’t help but to try and rule out caffeine to see if Mr. Hyde has any significant ingredients that can still make the product effective. However, its agmatine sulfate, L-Citrulline, L-leucine, and Beta Alanine contents are way below the recommended daily intake for these ingredients, which may eventually require you to purchase other supplement stacks to complete your supplement needs. You can’t go wrong with the best muscle building supplements that boost nitric oxide levels like NitroGenix 365. With products as effective as Nitrogenix 365, you can be assured that your nitric oxide levels are elevated, and your blood flows better – naturally, to the areas in your body that needs it the most.